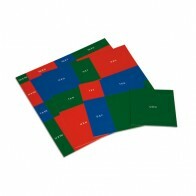 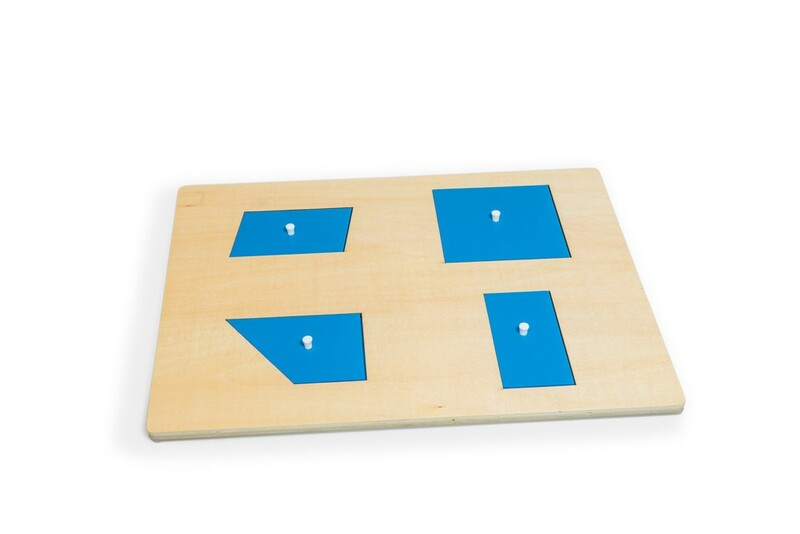 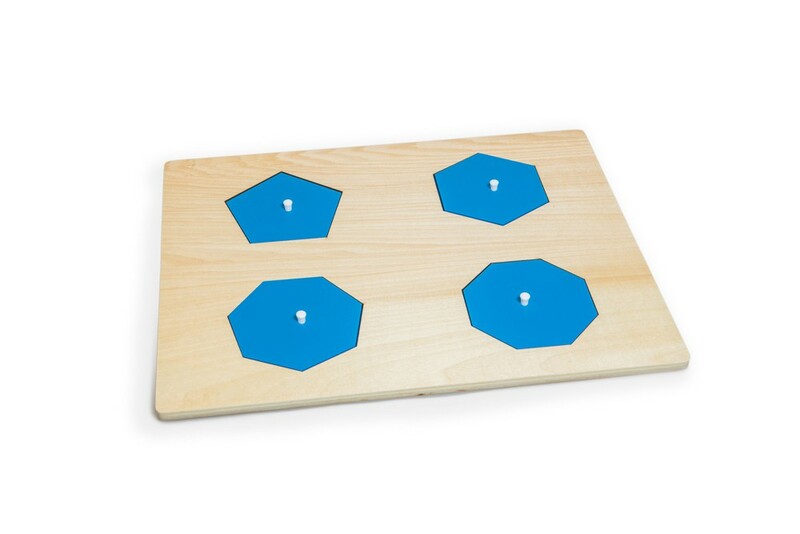 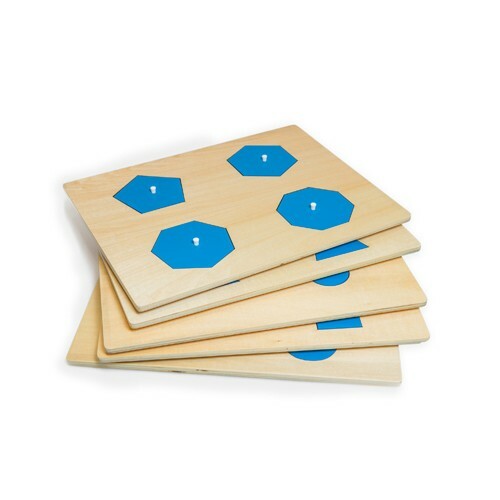 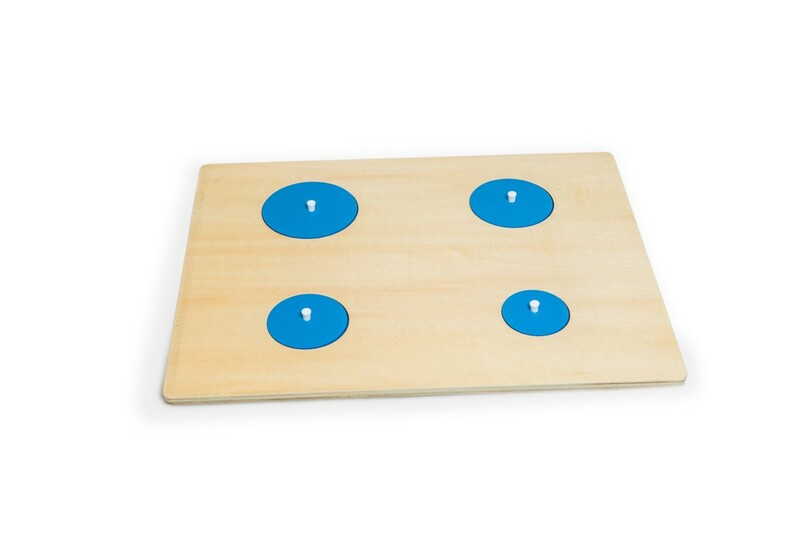 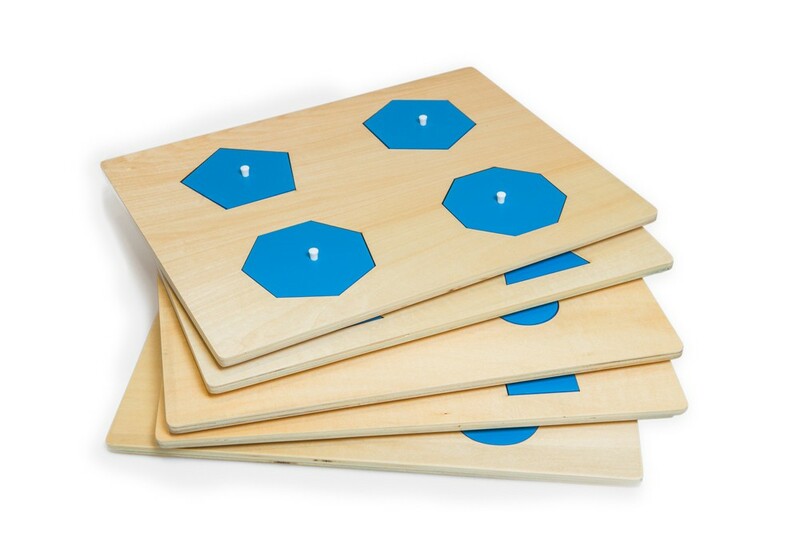 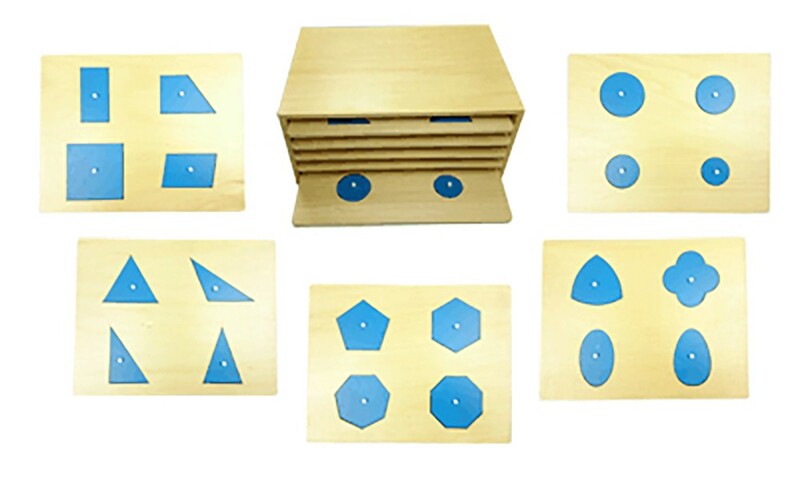 5 board puzzles each with 4 shapes: circles, triangles, regular polygons, curvilinear shapes and quadrilaterals. 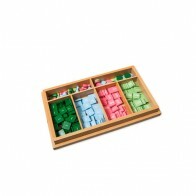 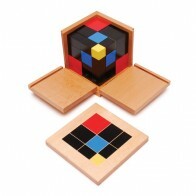 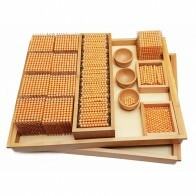 The cabinet is avaibable separately, making a simpler version of a geometric cabinet. 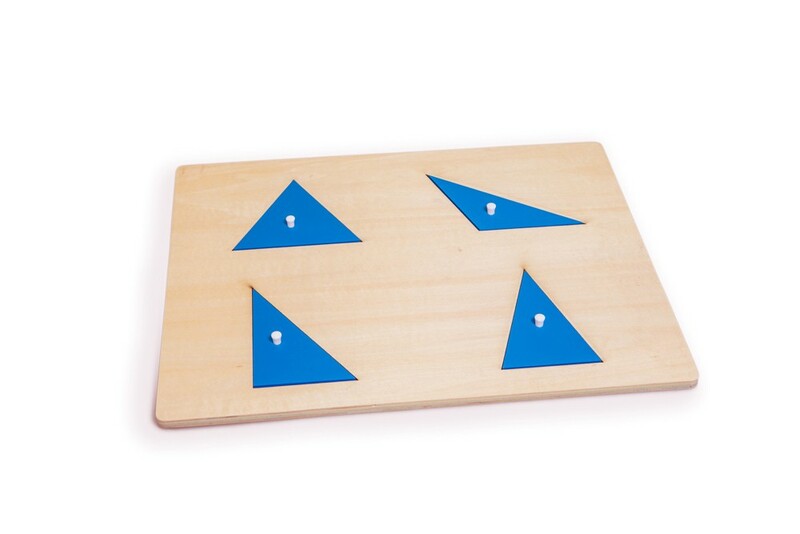 To introduce the vocabulary and properties of common plane geometric shapes.